Diwali or Deepavali, the festival of “rows of lights” (Deep = Lamp, Vali =Array), is one of the most important of all Hindu festivals. It is also a significant festival for the Sikh and Jain faiths. 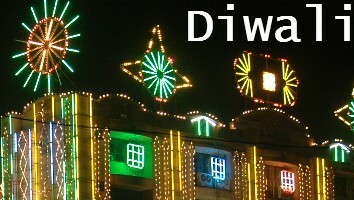 Of all the festivals celebrated in India, Diwali is by far the most glamorous and important. Enthusiastically enjoyed by people of every religion. It is a time for thoroughly anuual-cleaning the home, wearing new clothes, gift friends, decorate the house amd enjot with fireworks in the night. Diwali is celebrated 20 days after Dussehra, on the 13th day of the dark fortnight of the month of Ashwin October / November).Diwali is a New Year festival in the Vikrama calendar, where it falls on the night of the new moon in the month of Kartika. It is a festival of lights celebrating the victory of good over evil, light over darkness, and knowledge over ignorance. On this day homes are decorated, sweets are distributed by everyone and thousands of lamps lit to create a world of fantasy. The festival symbolizes unity in diversity as every state celebrates it in its own special way. wealth. In the amalgamation of Dhan teras ‘Dhan’ means wealth. God Yama is also worshiped on this day to provide prosperity and well being. Click here to learn More about Dhanteras and stories related to this festival. called Narak-Chaturdashi or more popularly as Chotti Diwali which falls on the 14th day of the month of Kartik. This festival is observed to commemorate the victory of Lord Krishna over the demon king, Narkasur. This day is also celebrated as the birthday of Hanumanji or Hanuman jayanti. Also, on this day Hanumanji reached Ayodhya to deliver the long-awaited message of Lord Rama’s return. Just like diwali people light diyas on chhoti diwali to fill their homes with light, worship Goddess Laxmi and offer prayers to Her and they also burst firecrackers but all these things are not as grand as they are on the day of main diwali. Click here to learn more about Narak Chaudas or chotti Diwali and the stories related to this festival. The Third Day of this festival of Diwali is the most important day of Lakshmi Puja which is entirely devoted to the propotiation of Goddess Lakshmi.On this dark new moon night, the entrances to all homes are lit up and decorated with rangoli patterns to welcome Lakshmi, the radiant consort of Vishnu and the goddess of wealth and lustre. Diwali is the last day of financial year in traditional Hindu business and businessmen perform Chopda Pujan on this day on the new books of accounts. Diwali is the festival when the new business year begins it is said that Diwali is the “Time to shop or start new ventures”. The fourth day of diwali celebrations is ‘Padwa‘ or ‘Varshapratipada‘. In the North India Govardhan Puja is performed with great zeal and enthusiasm. On this day, Goverdhan Pooja is performed. This day is also observed as Annakoot and prayers are offered in the temples. The day after the Lakshmi Puja, most families celebrate the new year by dressing in new clothes, wearing jewellery and visiting family members and business colleagues to give them sweets, dry fruits and gifts. 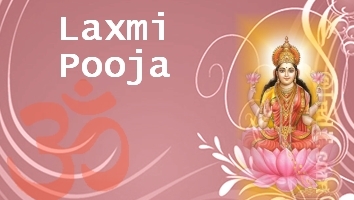 Click here for Goverdhan Puja and Annakoot katha. Bhaiya Duj or Bhai Dooj is the festival that is celebrated on the fifth day of diwali and it falls on second day after diwali that is on ‘Shukla Paksha Dwitiya‘ in the Hindi month of ‘Kartik’.Bhai Dooj is observed as a symbol of love and affection between brothers and sisters. Bhai Dooj is the festival that marks the end of diwali celebrations. Click here to know more about Bhai dooj and story (katha in hindi) associated with this festival.